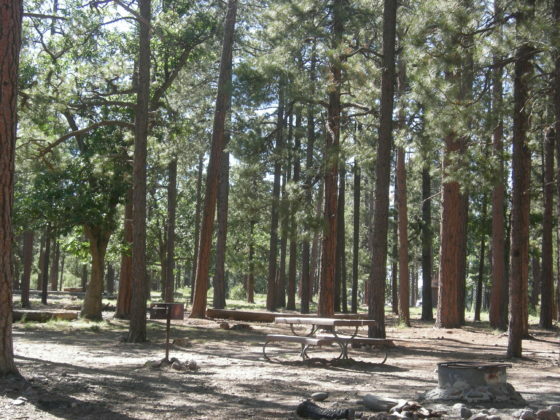 Upper Canyon Creek Campground is nestled into the canyon just below the Canyon Creek Fish Hatchery and the Mogollon Rim. Areas surrounding Canyon Creek were devastated by the Rodeo Chedeski fire a few years ago but Upper Canyon Creek Campground show no signs of the fire. 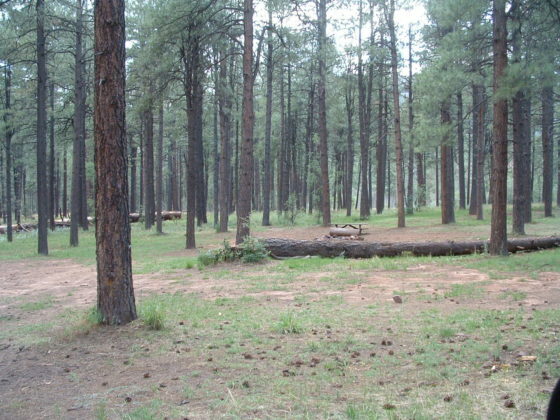 This is a first come first served campground. There is no fee to camp here. 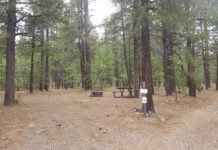 Bring water with you and as there is no water available at the campground. 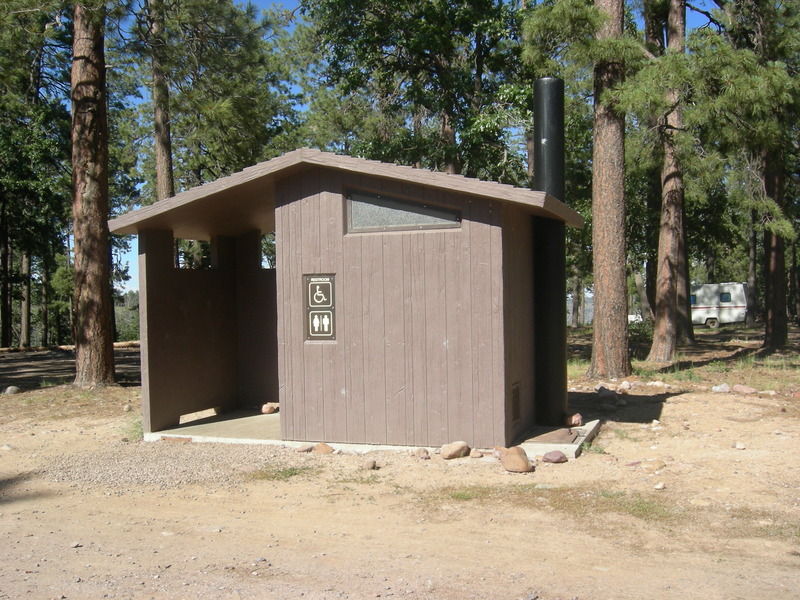 If you need to fill up your water containers, you can head over to Sinkhole Campground at Willow Springs Lake. 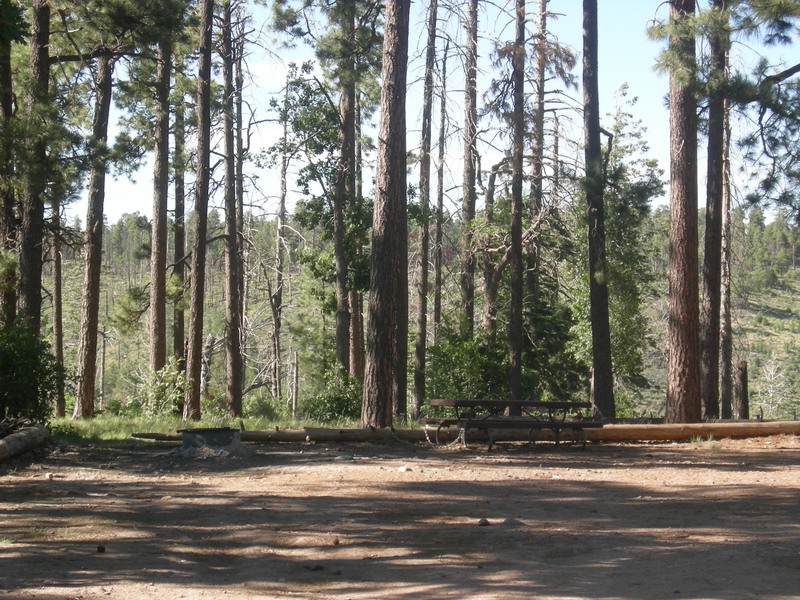 This dispersed campground is a great place for small groups as the central campsite (#4 I believe) is a large campsite with plenty of room for small groups up to 20 people or so. 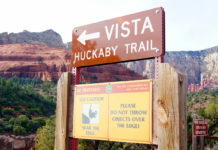 A four wheel drive or chains are recommended after heavy rains or snow. This is not a good campground for those with large trailers. The road coming can be slippery after heavy rainfall and some of the curves in the road are pretty tight. 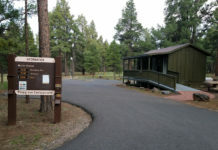 Just above the campground is the Canyon Creek fish hatchery. 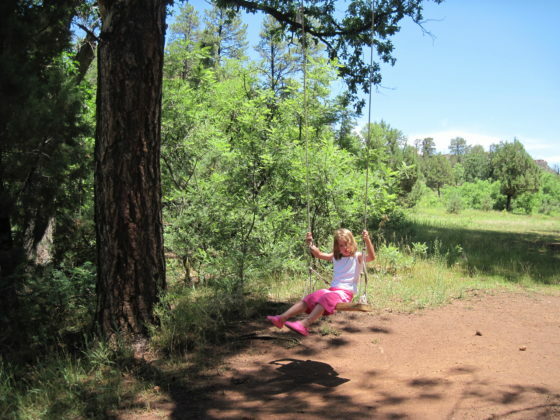 The hatchery has self guided tours running throughout the week until 4 p.m.
Ponderosa pine along with white and Douglas firs surround the campground and shade it well, even during the summer months. The cool waters of Canyon Creek begin in a spring above the hatchery. Fishing near the campground is o.k. with some smaller rainbow trout to be found. 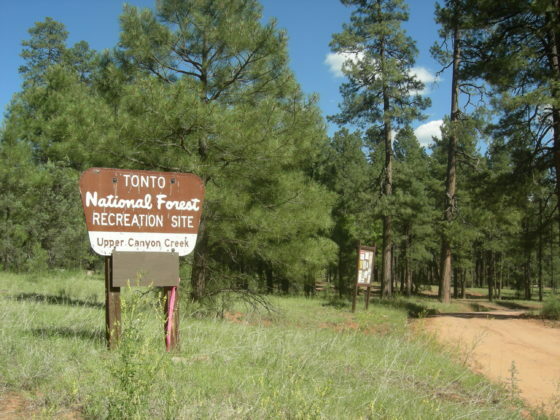 Further downstream is a fantastic 2 mile stretch of fly fishing along Canyon Creek. During mid week, you might be the only one out there and fish can be seen in all reaches of the river. This was once known as the best place to fly fish in Arizona. You can reach this area of Canyon Creek by heading to past nearby Valentine Ridge Campground (See Map Below) and continuing up just south of the OW Ranch. 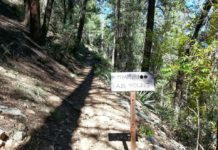 Be mindful of the property lines that are well marked. There is a 4 trout limit on this creek. 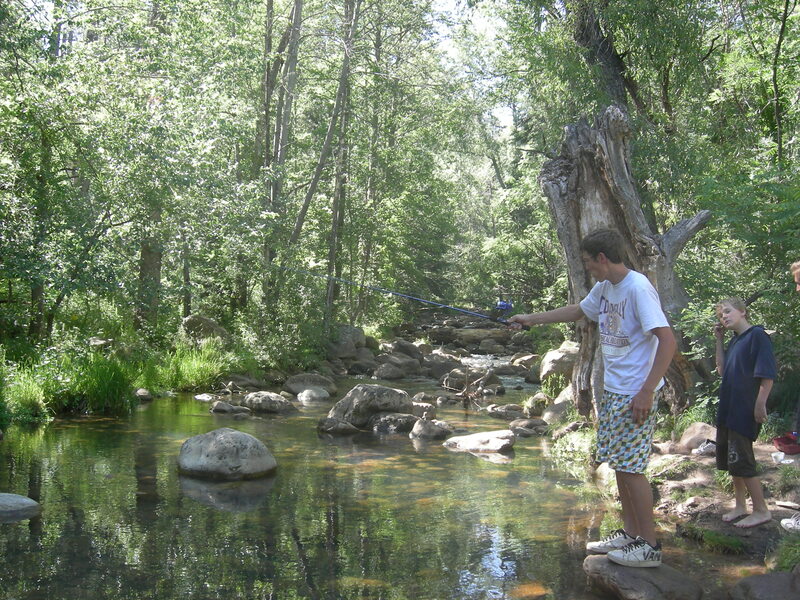 Canyon Creek fishing is restricted to artificial flies and lures only. The creek is lined with wild mint. 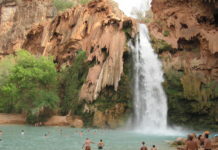 From Payson travel 33 miles east on S.R. 260 just past Willow Springs Lake to F.R. 512 (Young Road). Turn south on Young Road and travel 2.5 miles to Colcord Ridge Campground (FR 33). 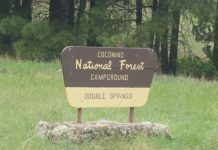 Turn left at FR 33 Colcord Ridge Campground and continue another 6 miles on a windy road past Airplane Flat Campground and Canyon Creek to the campground.